Lyric's AWESOME! Summer Camp ~ Performing Arts Camp with a focus on Character Building - on stage and off! a show right here on The Lyric stage! Make a difference in young lives by becoming a sponsor. Sponsor a camper or become a sponsor one of our other Arts & Education programs. 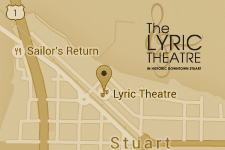 To find out how you can help, email Sue@lyrictheatre.com. PAYMENT PLAN AVAILABLE! Download Payment Plan Authorization and payment schedule here! At Lyric’s AWESOME! Summer Camp, we are more interested in developing camper’s character off the stage than on stage. LASC has proven to be a powerful platform to get kids on board with socially responsible behavior. Each session supports a theme to promote teamwork, self-discipline, problem solving, tolerance and kindness. We use the performing arts as a medium to teach practical life skills applications and character-building techniques that translate to everyday life. Each of the teaching staff at LASC are passionately committed not only to arts education, but to bolstering the self-confidence and empowerment of each of our campers. Through working together toward the common goal of presenting the sharing, our blossoming actors learn to overcome adversity, insecurities and respect for direction and different points of view. And it’s just plain FUN! Some of the things campers can expect to learn in DRAMA include basic acting principles, creative writing, staging, improvisation and stage presence. In MUSIC, campers will learn the fundamentals of singing, rhythms, terminology and vocal performance. In DANCE, instructors will introduce campers to various styles of dance – including music theater dance, jazz, ballet and hip-hop. Don’t want to be on stage? We’ve got an important role for you too! Join our Stage Crew and build props, scenery and help run the show. And just to round things out, we throw in some crazy summer camp fun like a arts & crafts, game show fun, movie days and outdoor recreation.